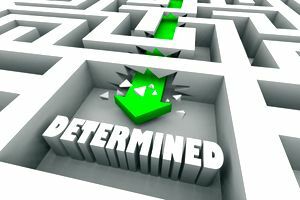 Wondering just how determined you are? Whether it's enough to make it through the toughest of situations, or not? Then it's time to find out once and for all. Maybe you're very determined. More than most. More than anyone you know. Or maybe you're not very determined at all? It's time to find out. Take a seat and let's get started. Answer these questions about yourself, and we'll tell you how determined you really are. Are you ready? The answer may surprise you, or confirm what you already know deep down.